Book Club: What should we read next? Attention constant readers! It’s time to choose our next book! I’ve pre-ordered this final book in the Ancillaryverse trilogy and will be eager to talk about it with other geek feminists starting, probably, on October 7th. Protagonist Breq used to be a starship, connected instantly to multiple bodies, and hasn’t quite gotten used to being singly embodied. 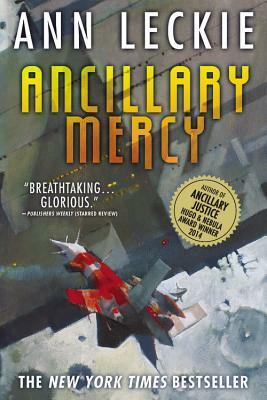 I think the first book in the trilogy, Ancillary Justice, integrated fist-punching-related adventure with flashbacks and thinky conversations and interstellar intrigue and music really well. It’s about power and institutions, about the lived difference between true mutual aid and imperialism, and about how to be loyal to imperfect institutions and imperfect people. And explosions. Ancillary Sword, the middle book, shifted settings to concentrate on one spaceship near one station orbiting one planet, helping us compare societies that are functional, dysfunctional, and broken. Leckie compares othering, oppression, and possibilities for resistance across urban and plantation settings. And I utterly bawled at one character’s soliloquy on the way to her doom, and at tiny hopeful steps of mutual understanding and community empowerment. Also, again, explosions. Here’s the first chapter of book three, and in case that’s not enough, here’s some fanfic based on books one and two. The Ancillaryverse is scifi that argues with other scifi; you can see the Radchaai as Borg (ancillaries), or as Federation (per the “root beer” and Eddington/Maquis critiques from Deep Space Nine), and you can see Justice of Toren as literally the ship who sang (see the comments in Leckie’s post here, around the novels’ feminist lineage). I’m looking forward to seeing more of Leckie’s conversation with other speculative fiction, to more critiques, and more explosions. Here we address sources of exclusion determined not by rules that keep women out, but by ways of thinking that make them reluctant to join in. Our central thesis is that equal access to even the most basic elements of computation requires an epistemological pluralism, accepting the validity of multiple ways of knowing and thinking…. “Hard thinking” has been used to define logical thinking. And logical thinking has been given a privileged status that can be challenged only by developing a respectful understanding of other styles where logic is seen as a powerful instrument of thought but not as the “law of thought.” In this view, “logic is on tap, not on top.”…. The negotiational and contextual element, which we call bricolage…. Our culture tends to equate soft with feminine and feminine with unscientific and undisciplined. Why use a term, soft, that may begin the discussion of difference with a devaluation? Because to refuse the word would be to accept the devaluation. Soft is a good word for a flexible and nonhierarchical style, open to the experience of a close connection with the object of study. Using it goes along with insisting on negotiation, relationship, and attachment as cognitive virtues…. I appreciated the case studies of programmers and their approaches and frustrations, the frameworks analyzed and suggested (e.g., relational and environmental), and the connections to other feminist researchers such as Carol Gilligan. If you feel like your approach to engineering makes you countercultural, you might like this piece too. Here’s a plain HTML version of the paper, and here’s a PDF of the paper as originally typeset and footnoted. Zacharias Wythe, England’s first African Sorcerer Royal, is contending with attempts to depose him, rumours that he murdered his predecessor, and an alarming decline in England’s magical stocks. But his troubles are multiplied when he encounters runaway orphan Prunella Gentleman, who has just stumbled upon English magic’s greatest discovery in centuries. I’d love to discuss themes in this feminist Malaysian-British author’s work with other geek feminists. In her postcolonial historical romance novella The Perilous Life of Jade Yeo, her short story collection Spirits Abroad, and in Sorcerer to the Crown, Cho depicts adventurous, mercenary, or blasé women who use, disregard, or otherwise play with expectations of femininity. She illustrates how both mundane and magical institutions use gatekeeping to prop up their own status hierarchies, and how that affects people trying to make their way in. Intersectionality, diaspora and immigration, the culture of British education, and queer relationships also appear in Cho’s stories over and over. if you read The Perilous Life of Jade Yeo then you might be forewarned of the kind of genre switchup Cho is doing — I definitely see Prunella Gentleman prefigured in Jade Yeo. 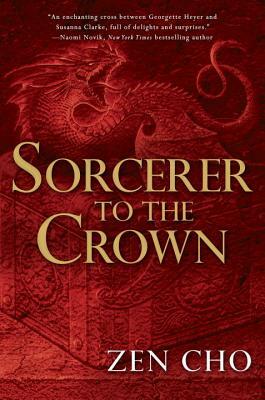 I particularly like that, in Sorcerer to the Crown, Cho writes in a genre that often has kind of a slow tempo, and moves the speed up so there are more exciting plot developments per page, and adds more Wodehouse-y shenanigans and off-the-rails conversations, without ever sliding into unbelievable-silly-farce-romp or territory. And there’s a spoiler I badly want to talk about with other people of color! You tell me! Let’s try to wrap up voting by Wednesday October 7th. This entry was posted in Uncategorized and tagged book, book club, books, education, fantasy, learning, research, sci fi, science fiction, women learning tech on 2015/10/01 by brainwane. Breq’s not a woman, she’s agender. This is stated repeatedly in the text, and has been confirmed, using that word, by the author. The series uses “she” as the Radchaai universal pronoun for human beings, but that doesn’t mean the people it describes are women. I’m a big fan of this trilogy for a lot of reasons, and the fact that it gives me non-binary characters to identify with, more than one, lots of them, is a major one of those. So it hurts when I see people misgender the characters, especially when it’s people I otherwise usually like and agree with. The “have any of us?” was kind of an extra twist of the knife in this context, because no, I haven’t gotten used to being a woman, and I don’t want to, and I’m not going to. vass, my apologies. I’ve read the first two books and will have to reread them to better appreciate Breq’s (and others’) places in or outside gender; I ID as a woman and had been enjoying reading all characters as women. I’m sorry for hurting you. I’ve changed the text in the post. Here’s another interesting review. Not entirely positive, but still makes me want to read the book.